Coming in November, my latest book–pre-order it today! No book, and certainly not The Hiding Place, emerges ex nihilo, like Venus from the sea. 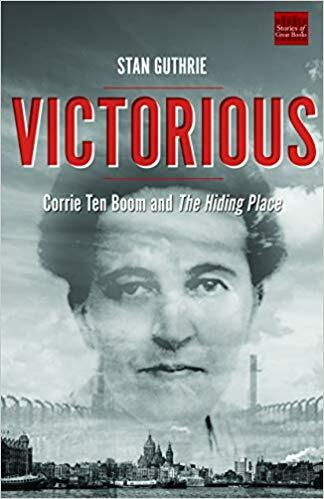 Though the gospel it shares and the Savior it exalts are timeless, Corrie ten Boom’s 1971 classic could not have sold millions of copies and helped shape the faith of a generation by itself. A number of specific people, events, and issues came together providentially to provide a bracing wind for this unforgettable volume’s literary sails. Nearly half a century on, The Hiding Place still thrills and challenges us with its portrait of an imperfect servant of Jesus the Victor determined to defy evil, defend the weak, and endure hardship. A gripping, hard-hitting overview of issues confronting the spread of the world's most global faith. Includes discussion questions and suggestions for further reading. A completely new way to understand the message and meaning of the world's greatest teacher. Includes discussion questions, suggestions for further reading, and a complete index of the questions.